Malory Shaughnessy, MPPM, has over 35 years of advocacy and public policy experience. She has worked at all levels of government from legislative staff in the office of Congressman Tom Andrews in the early 1990s, to working on projects for the Maine Legislature’s Office of Policy and Legal Analysis, and serving as a Cumberland County Commissioner. 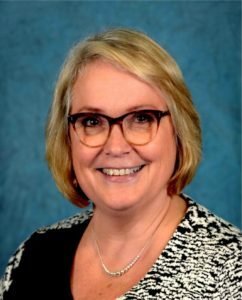 As a Commissioner, she served as President of the Maine County Commissioners Association and represented Maine Counties on the Board of Directors of the National Association of Counties. She was a long term member of the Public Health Work Group and State Coordinating Committee working to create a system for Public Health in Maine, and was a founding member of the Cumberland Public Health District. Nominated to Chair the Maine State Sentencing & Corrections Practices Commission by Governor Baldacci, she worked to make positive changes to Maine’s sentencing and bail practices. Malory received her Master’s Degree in Public Policy from the Muskie School of Public Service, and her BA in political science and economics from the University of Missouri. She is an alumni of the Institute for Civic Leadership (Pi class), and a County Leadership Institute Fellow through the National Association of Counties’ partnership with NYU Robert F. Wagner Graduate School of Public Service. Malory serves on the Board of Visitors for the Muskie School of Pubic Service and the Board of Directors for the Maine Women’s Lobby. Jennifer Christian has over 20 years of experience in community outreach, partnership and development in the non-profit sector, including grant research, gift leadership development, special events coordination, communications, public relations, grant writing, conference planning, public speaking, and community partnership growth. Jennifer’s partnership-building skills reflect her life-long passion to enrich lives through community and collaboration. 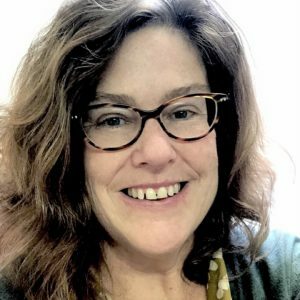 Previously, Jennifer created and directed Maine College of Art’s (MECA) Creative Community Partnerships (CCP)program, the College’s community learning resource center, established in 2002. Jennifer has also held positions as an arts education coordinator at Portland, Maine’s A Company of Girls, and has taught students and faculty from Pre-K through the University level through her unique codification of collaborative curricula. Jennifer received her BA in history & international relations from Barnard College, Columbia University, NYC, and completed a thesis and graduate work in international affairs at King’s College, London, UK. Jennifer has also completed work towards a certificate degree from The Pennsylvania Academy of Fine Arts in painting. Jeanne Hanson has experience in non-profit office administration and enjoys keeping the inner workings of an organization sufficient. She has worked in both grassroots and policy driven non-profits, assisted with grant writing and establishing yearly budgets, and has been the main coordinator on multiple fundraiser events. 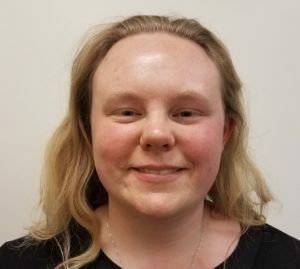 Previously, she was a main collaborator at the Annual Undergraduate English Conference and Terry Plunkett Poetry Festival when she attended the University of Maine at Augusta, where she received her BA in English.